Companies with physical, tangible products are prime candidates for an image-driven social media site like Pinterest. But brands with more abstract products and services can find a place on the site, too – it just takes a bit more creativity. Pinterest is comprised entirely of static images, making it a slam-dunk destination for businesses pitching products that lend themselves well to photos. But companies that sell services – such as financial, insurance or utility companies – can also find marketing success on Pinterest. They just have to think a little more creativity, but it’s worth the effort. Pinterest is the fourth-largest social network and is projected to have 50.7 million users in 2016 (almost half of them millennials), according to eMarketer. Here are five ways any company can create engaging Pinterest boards. Companies with physical products already have beautiful photos showing off their merchandise. But brands with intangible products or services need to be creative about how they can create a presence on Pinterest. These companies need to think about information that would be important to communicate with both customers and prospects. Rather than despair over a lack of product images, you need to create high-quality, well-designed images that cover topics that are relevant to your business, along with well-thought-out captions. For example, an infographic with appealing images, fonts and colors can be just as popular with Pinterest users as a photo of a pair of shoes or a handbag. One company doing that is Bank of America. The company created its Better Money Habits Pinterest boards with images featuring tips on easy ways to save money, how to build a healthy credit score or how to plan for buying a home, for example. Aside from original content, the company also repins related content such as a wedding budgeting article from wedding website Stylemepretty.com or an article from Huffington Post on how to budget for having a baby. Since launching its boards last October, 30 percent of the bank’s social traffic has come from Pinterest. Another company, Petplan Insurance, a pet insurance company, has various Pinterest boards that link to external websites as well as its company website for homemade pet food recipes, pet health tips and cute pet photos, for example. Because of Pinterest, Petplan has seen 592 percent more visits to its website since last year. Many people use Pinterest to browse or pin images from other websites, but most likely they won’t type your company name into the search bar. Rather they will discover your pins through other users or websites. A good way to get your pins in front of the right people is to partner with prominent pinners that your target audience follows or would want to follow. 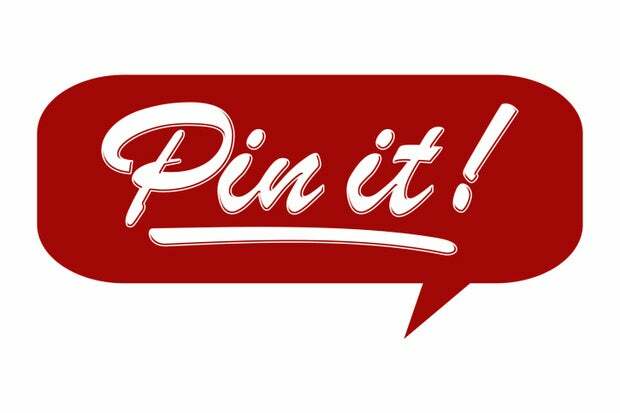 Then get that pinner to repin or post pins on behalf of your company that involve your brand’s subject matter. Also, engage with other users that repin or comment on your content by commenting back or following them. Within your own team, plan out which content you’ll pin and when. In other words, come up with an editorial calendar so you can plan when it’s time to post holiday-related pins or pins related to news that involves your industry. Also, make sure to cross promote your Pinterest content on other social media sites where your company has a presence. For example, if you have a large following on Twitter, tweet out links to new pins that you post. Another way to get people interested in your Pinterest content is to avoid coming across as a blatant advertisement. If you do include your logo, make sure it’s on your original images and that it’s subtle. “Slapping a logo and tagline on a pin detracts from the purpose of social media, which is to have an organic user generated look and feel,” says Jay Wilson, research director, social marketing at Gartner. Social media ROI is still an area that many businesses are trying to figure out and efforts towards Pinterest are no exception. Right now, companies can test ROI on Pinterest with promoted pins, which are paid spots on Pinterest where you can target certain groups of people and have your pins appear in certain places. Lastly, if Pinterest is not a fit for your company, don’t force it or just scale down the amount of resources that you’re dedicating towards it. Some social networks are a better fit for certain companies more than others, so find what matches up with your company and how you want to market your products and services. Source:Lauren Brousell is a senior writer for CIO magazine.